Compiled And Created For You By Powertrain Engineers And Industry Professionals. 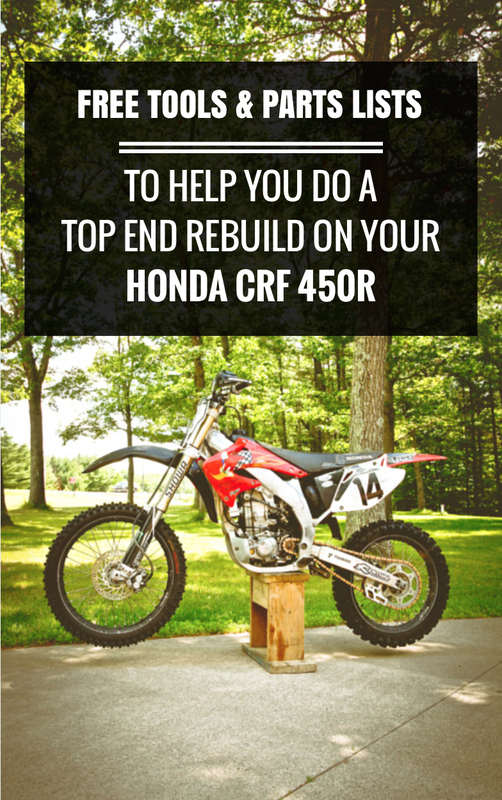 Want to start planning a top end rebuild on your Honda CRF 450? Download this FREE Tools and Parts List to learn exactly what you need to begin planning a successful top end rebuild in minutes. Success! 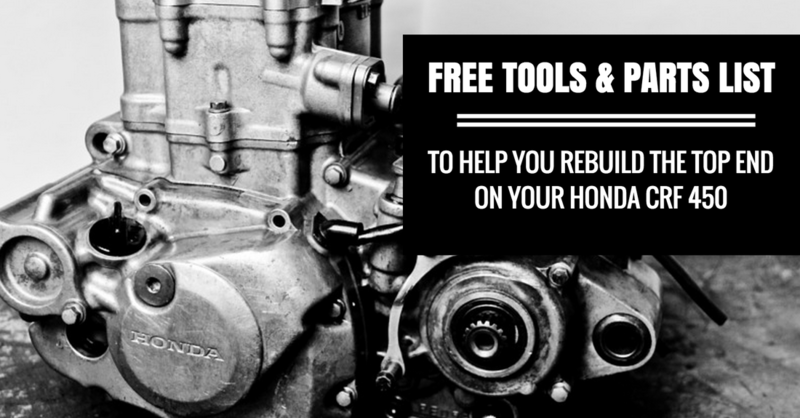 Now check your email to download your Top End Rebuild Tools and Parts List.